This tutorial is part of our Read Along Knit Along series & is brought to you by LoveKnitting, Eucalan & Knitter’s Pride. Learn about our sponsors and enter to win the RALKAL prize pack here. A lot of intarsia tutorials & books might lead knitters to believe there’s only one way to knit an intarsia pattern successfully. In reality, as with any knitting, the choice for how to work your own work is up to one thing only: you. If you’re someone who prefers their WIPs (works-in-progress) to look immaculate and tangle-free as you go, that’s fine! If you’d rather get on with your knitting, tangles be damned (i.e. dealt with later), that’s fine too! 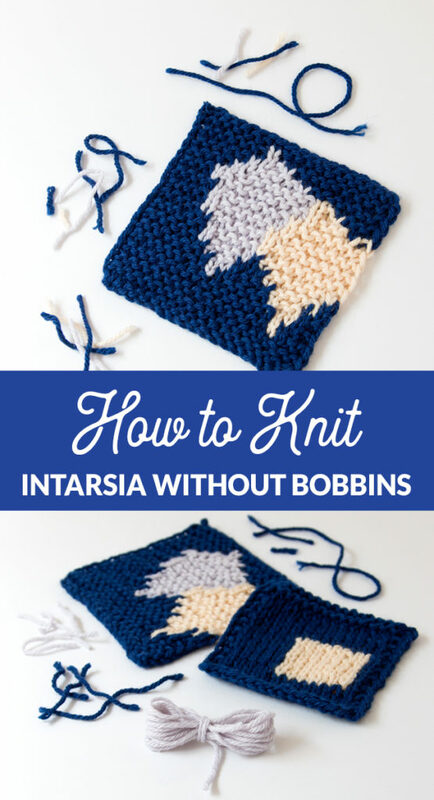 In today’s intarsia tutorial, I’m going to walk you through how exactly to work an intarsia pattern without bobbins or butterflies, as well as the case for letting your intarsia look a bit disorganized as you go. 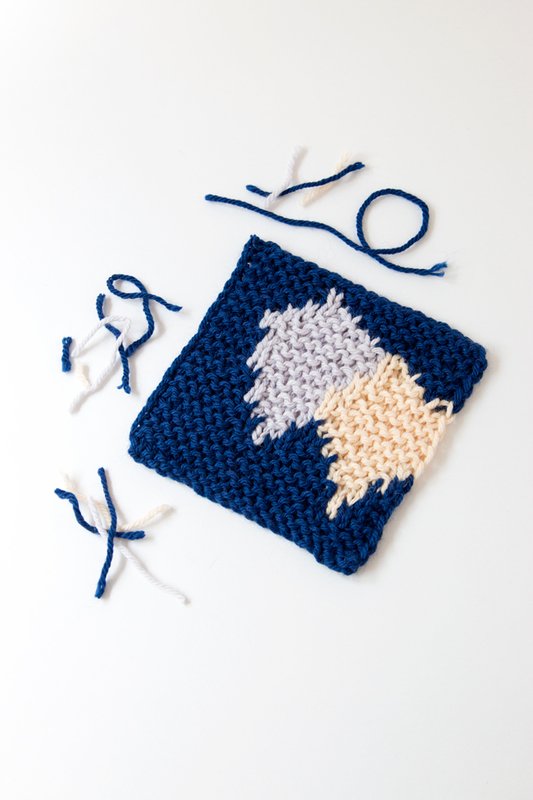 First up, let’s take a look at some ways to knit intarsia without bobbins or butterflies. In particular, this video covers how to work from opposite ends of the same skein of yarn, as well as letting your yarn tails fly free as you knit. 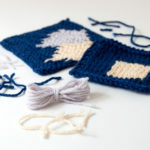 If you’re more into tidy work as you go, here’s a tutorial for how to work intarsia using bobbins & butterflies, including how to estimate your yarn tails for each color and how to wind butterflies. 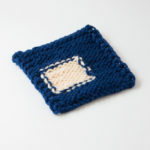 Wondering why you’d want to deal with the inevitable tangles that happen as a result of bobbin-free intarsia knitting? I’ve made a little video to explain why you might want to give it a go. My two cents: Personally, I’m a big fan of this style of intarsia knitting, thanks in part to a workshop I took at Vogue Knitting Live with Julia Farwell-Clay this year. 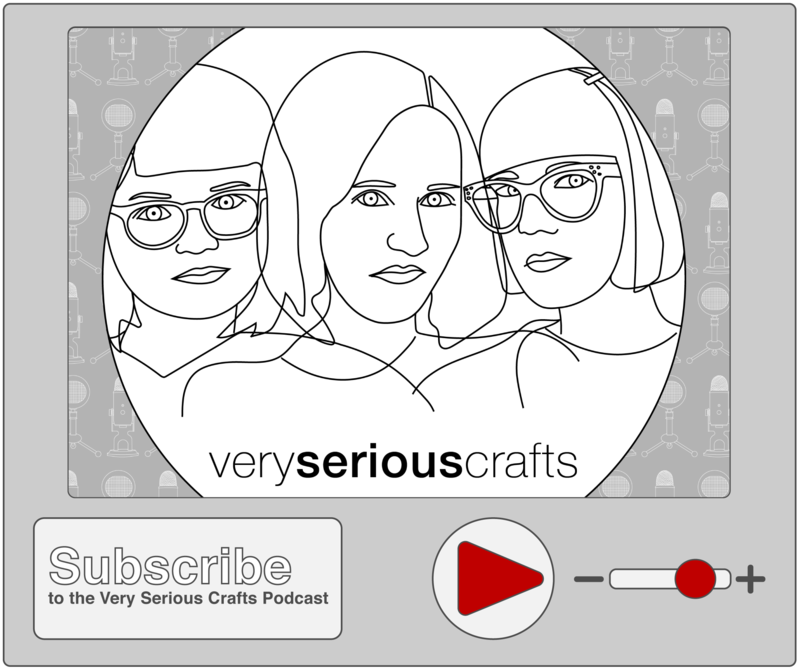 She’s a brilliant intarsia pattern designer, so I figured I’d listen to her when it came to honing my intarsia knitting skills ahead of releasing my Intarsia Mountain pattern design. In the workshop she talked about simply (and I’m paraphrasing) getting on with it when knitting intarsia. This concept was a total game changer for me. Before, the idea of militantly estimating and bobbin-ing my tails seemed counter-productive to the goal of actually finishing a knitting project. With inspiration from Julia giving me the confidence I needed to just go for it, I’m now full-on obsessed with intarsia as a technique from a knit design perspective. Do you have to knit “disorganized” instarsia? Not at all. I’ll say this again because it bears repeating: your knitting is your own. If you think knitting intarsia in a more disorganized style isn’t your cup of tea, you go ahead and make those bobbins. But if you want to give his approach a try to see if it suits your personal knitting style, do it! 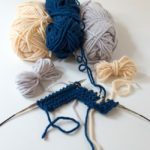 There’s a great (and free) practice swatch in this post if you want a low-risk pattern to try out organized and disorganized intarsia for yourself. Thanks, Heidi, for the best-ever demo of interlocking. I’m definitely giving this method a try. I knit Portuguese-style, so instead of turning the work I stay on the right side and knit backward for the wrong side row! Oddly, while my purl stitches would have been a tad looser than my knits, my backward knitting matches the regular perfectly!